Australian-based online retailer Kogan.com has undergone huge growth over the past few years and is a valuable option for online purchases earning Qantas or Velocity Points. 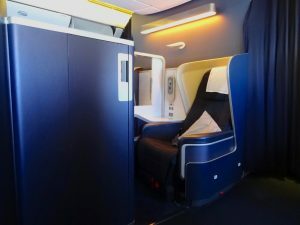 This guide explains how to earn points with these programs, plus also looks at shipping costs, and the best credit cards to use to maximise your total points earn rate. On checking out the site, it turns out there are over 28,000 products on sale. 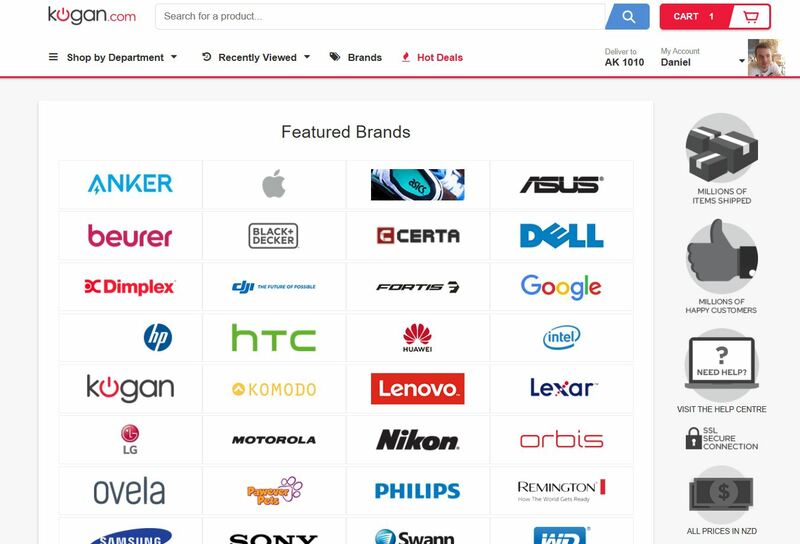 You can use the brand filter in the top banner navigation to drill down into which of the many brands are included but big ones like Apple, Acer and Dell are on there. Kogan have expanded aggressively into homewares, home supplies (think bulk-buy dishwasher tablets and the like) and own-branded electronics alongside big-brand electronics. If you do your shopping via the dedicated NZ website, you will find all products are conveniently priced in NZD. Kogan.com offers free shipping on a wide variety of products, with many others shipped at a flat fee of $16.99. New Zealand GST is automatically included in the purchase price, so you won’t be stung with this on arrival – but depending on the product and purchase price, import taxes and duties could apply. When your order arrives in New Zealand, the courier will provide you with the information on how to pay these charges if they are applicable. The ‘What’s my Duty’ calculator on the NZ Customs website can help you work out what your liability may be. Thankfully for the most part, portable electronic products like mobile phones, computers etc. will not incur any additional fees, regardless of their total cost. This is because NZ Customs waive any fees that are $60 or less. Firstly, no duty is charged on these products types. Finally, as GST is being collected by Kogan.com in advance, the standard entry fees (which are less than $60) will automatically be waived. If you add your Qantas Frequent Flyer number to your Kogan.com account, you will earn at the rate of 1 Qantas Point per NZ$2 spent without having to do anything else. However, if you also click through the Qantas Online Mall, you will pick up an extra 2 points per $1, bringing your total to 2.5 Qantas Points per $ spent. With the Velocity eStore, you will earn 2 Velocity Points per $ spent and you do not need to do anything more than click through their online shopping portal. Kogan.com accept Visa, Mastercard and American Express with no transaction fees, which provides a good opportunity to double dip and earn points through card spend too. 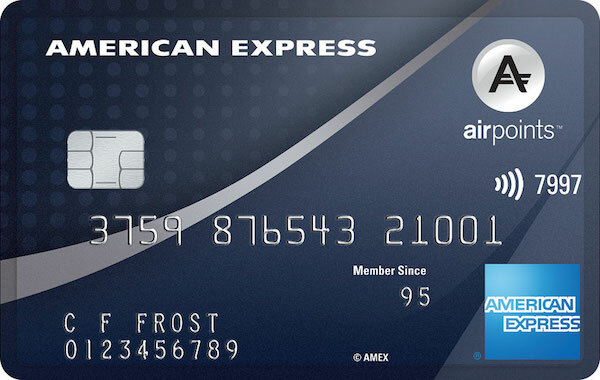 The highest earning Airpoints card you can use is the American Express Airpoints Platinum, where you’ll earn 1 Airpoints Dollar for every $59 spent. 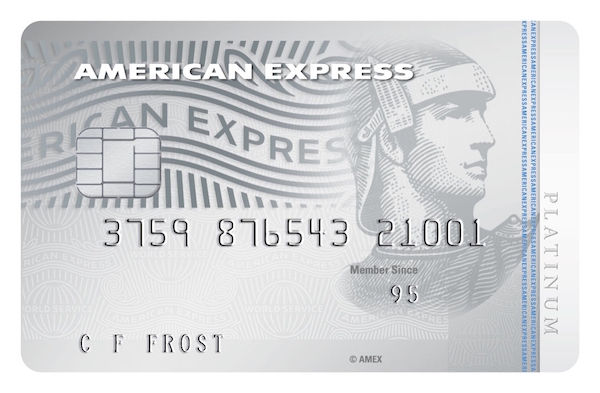 The credit cards that can let you earn Qantas and Velocity Points on spend in New Zealand are cards that earn into the American Express Membership Rewards Program, namely the American Express Platinum Edge and Platinum Charge cards. Membership Rewards points transfer to a number of major frequent flyer programs including Qantas and Velocity at a rate of 1 MR Point to 0.5 Frequent Flyer Point. Summing up: which is the best deal? If you make a purchase of NZ$100, you will earn either 200 Qantas or Velocity Points. If we value Qantas and Velocity Points at 2.1c a piece, then that is like earning $4.20 worth of points on your purchase. Then the only decision to make is where your points allegiance lies, i.e. with Qantas or Velocity. Just remember to click through the appropriate link to earn your points—it is very simple! I placed an order recently at the Kogan NZ website. I entered my QFF number using the link provided in this article. I received my order there was no sign of the points in my Qantas account. On emailing Kogan support, I got a response saying “Unfortunately, our QFF points are applicable for purchases on our Australian website only”. For a subsequent order, I tried to use the Australian site but that does not allow an NZ delivery address! It even says under FAQ “What are Eligible Products?” that products at Kogan.com/nz are eligible. Let me know what they come back with as a follow up? “Unfortunately, I can confirm that Kogan.com/nz won’t allow Qantas Frequent Flyer points to be added to any purchase, the statement you provided was an error within our T & Cs and has now been updated. Hi Santosh – that’s very disappointing. Would you like to email me the purchase amount? I will then personally chase them for a manual credit of points, as otherwise it’s false advertising on their behalf.